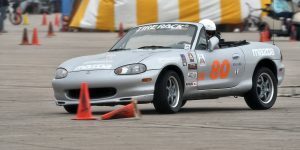 SCCA Solo hosted by Sports Car Club of LaCrosse. Test & Tune day with a safety inspection and times displayed electronically after each run. Course utilizes an approximately 5/8 mile long driver training facility. See SCCA LAC flyer for pricing. penalties, and helping ensure a safe event. Visit www.scclac.org for more info.